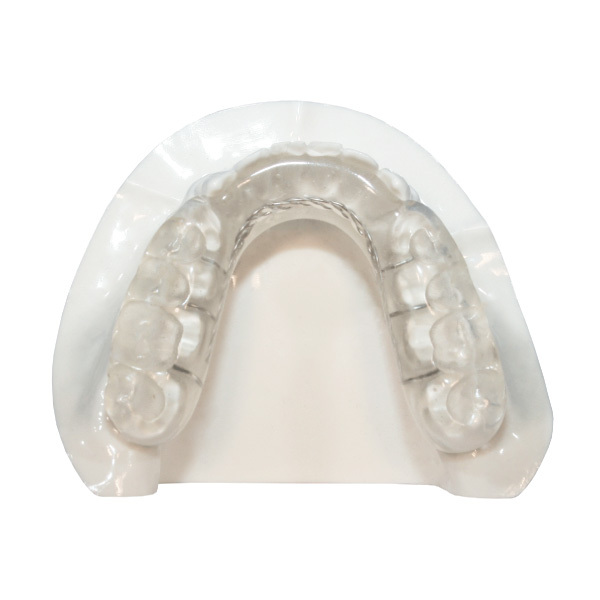 The Neuromuscular Orthotic is a comfortable mandibular orthotic featuring a lingual braided reinforcement wire which reduces lingual flexing and strengthens the appliance. Ball clasps are added for additional retention. The lingual cusp tips are indexed 1mm. All buccal interferences are eliminated, and careful consideration is given to preserving the centric stops. While most commonly made without an acrylic cap one can be added at the doctor’s request. Lab Requirements: Upper and lower models free of bubbles, distortions, or voids. Impressions must be taken with a heavy body alginate or PVS. A bite registration placing the patient in their proper AP and vertical position. 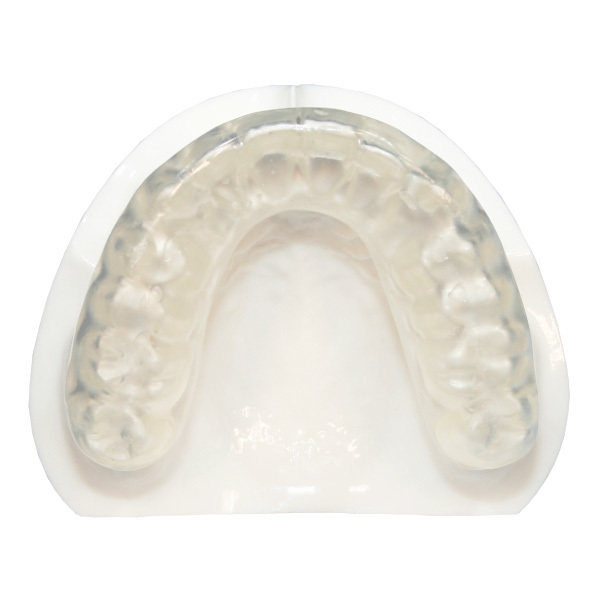 The Gelb splint is a popular TMD orthotic. 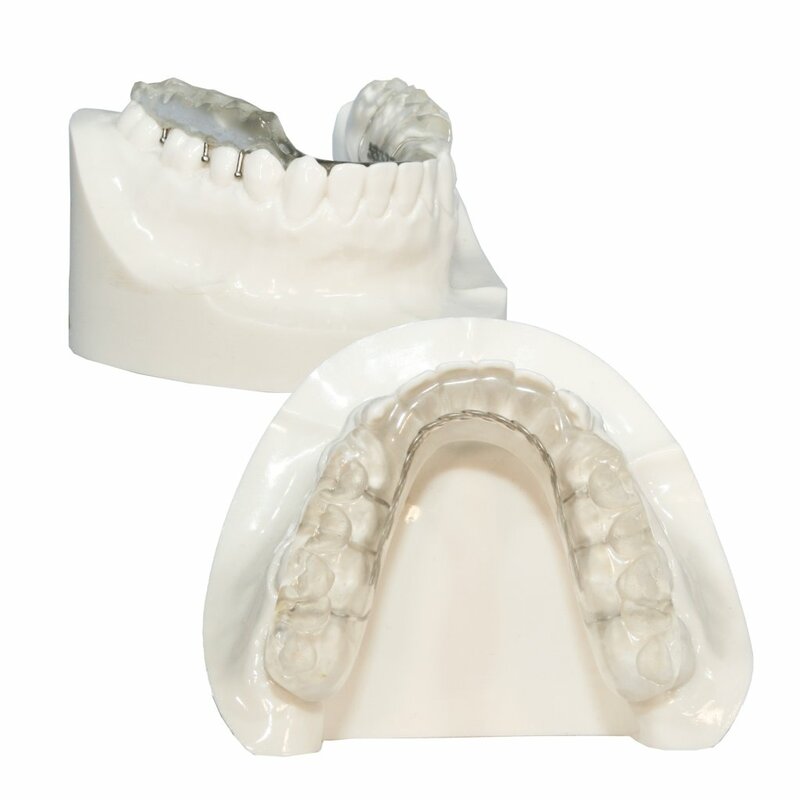 It is designed to reposition the mandible to achieve neuromuscular balance and an optimal condylar-fossae relationship. 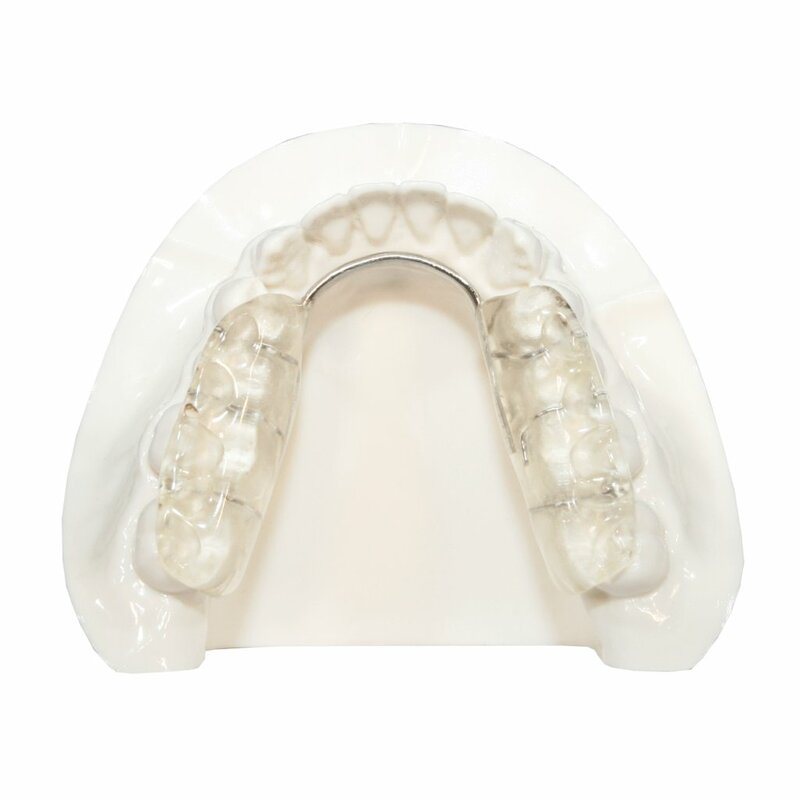 It consists of clear acrylic bite pads with the occlusal surface finished with a very precise anatomical cusp/fossa contour connected by a heavy, oval lingual bar. 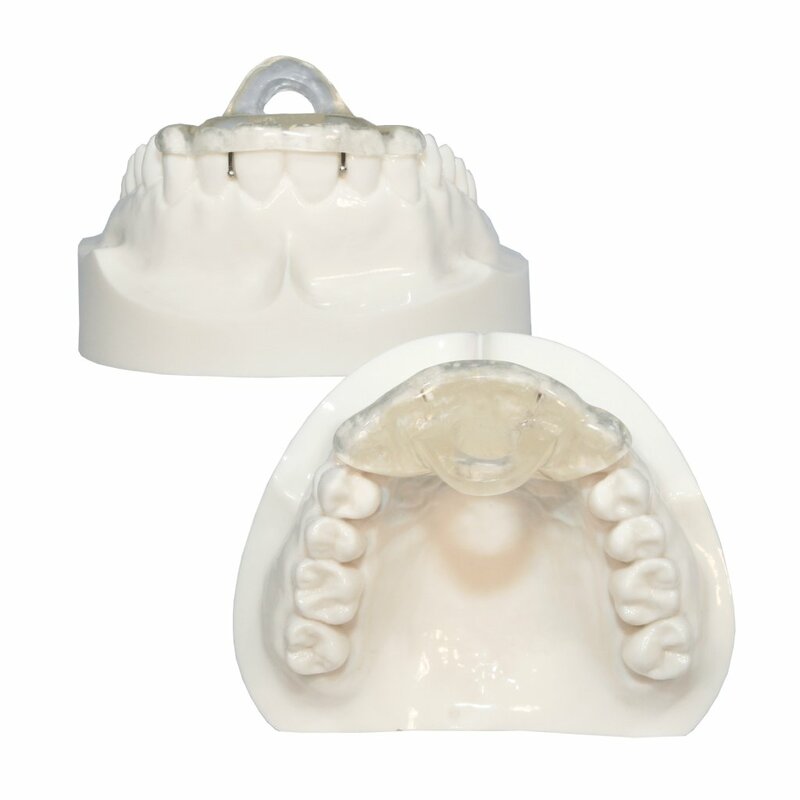 The Anterior Deprogrammer is a popular alternative to the NTI appliance. Only the lower incisors contact the acrylic. It is thought that preventing posterior contacts eliminates the proprioceptive response to clench and grind. The Anterior Deprogrammer differs from the maxillary NTI in that the acrylic is extended to the posterior, preventing super-eruption of posterior teeth. 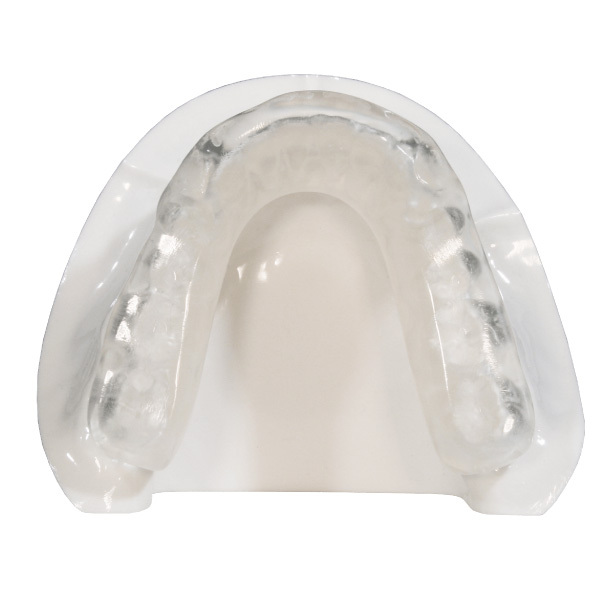 The Ferrari 2 is a maxillary repositioning splint popular for patients who clench or grind. The anterior deprogramming ramp is modified for both comfort and function. The acrylic is relieved, forming a loop which functionally keeps the mandible in a protrusive position. The loop creates more space for the tongue and improves comfort. Also known as a Talon Splint, this night guard has a hard exterior with soft interior. This orthotic is made from a more comfortable and durable material than a normal acrylic splint. 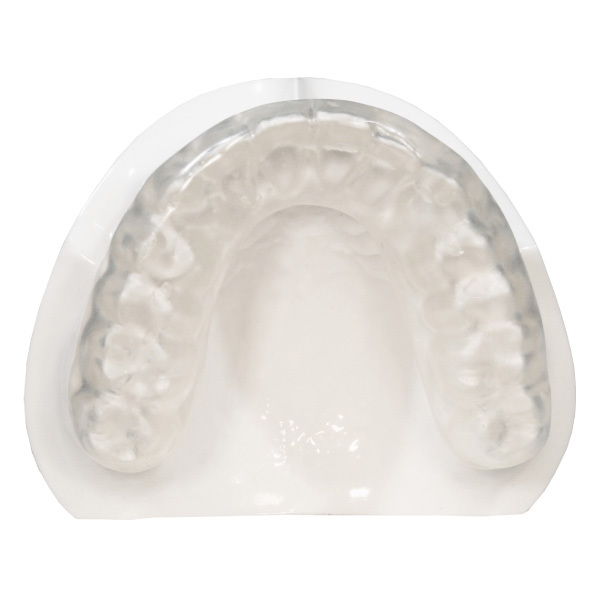 The Ferrari 1 is a maxillary repositioning splint popular for patients who clench or grind. The anterior deprogramming ramp is modified for both comfort and function. The acrylic is relieved, forming a loop which functionally keeps the mandible in a protrusive position. The loop creates more space for the tongue and improves comfort. The Ferrari is designed with no posterior occlusal coverage. 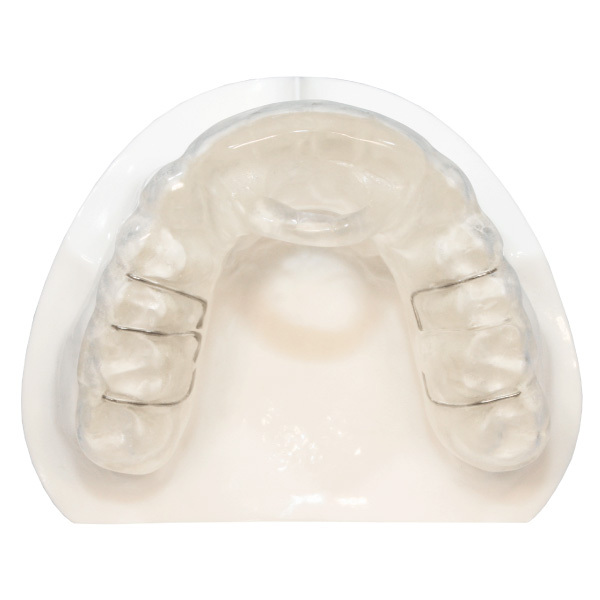 The Pull Forward splint is designed with a 2mm index of the upper occlusion into the lower occlusal acrylic. 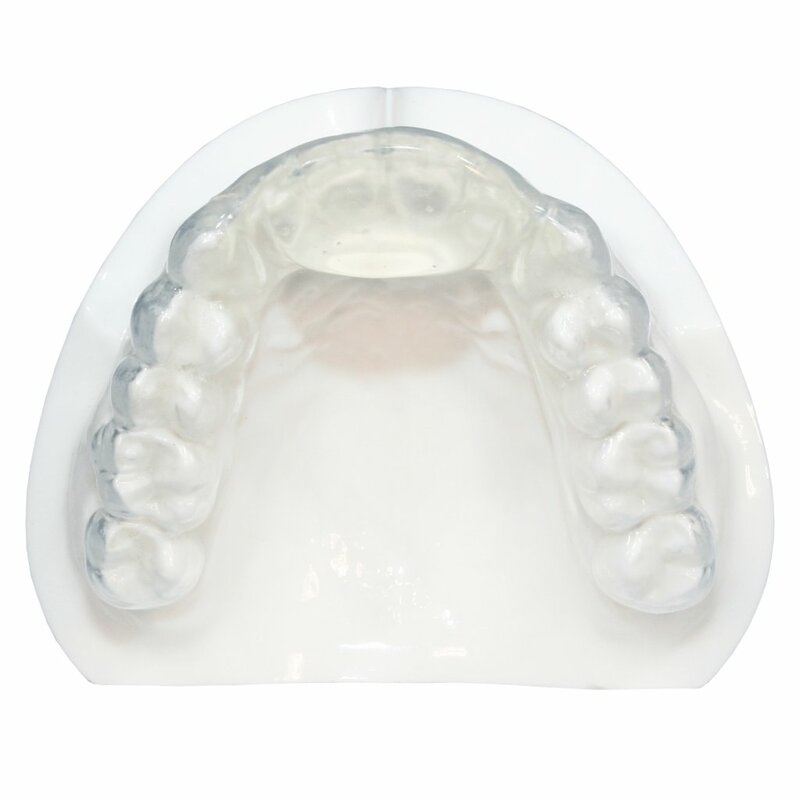 Maxillary Night Guards can be made from acrylic or dual laminate. 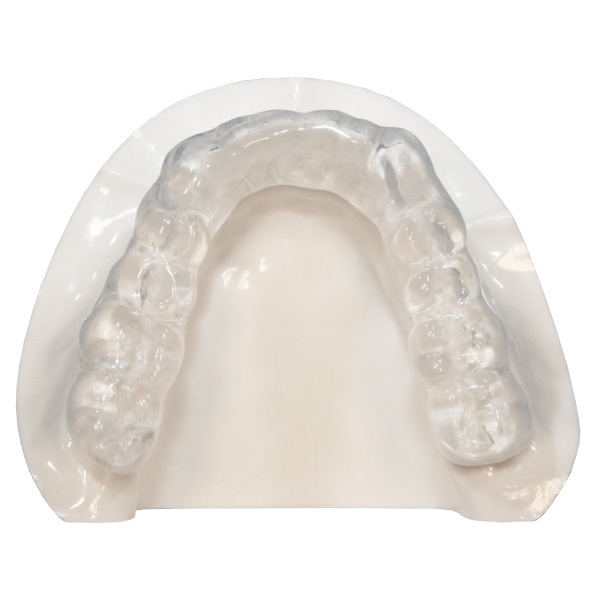 The Ferrar is a maxillary repositioning splint popular for patients who clench or grind. The anterior deprogramming ramp is modified for both comfort and function. The acrylic is relieved, forming a loop which functionally keeps the mandible in a protrusive position. The Ferrar is designed with posterior occlusal coverage. The Tanner splint can be made on the upper or lower arch. 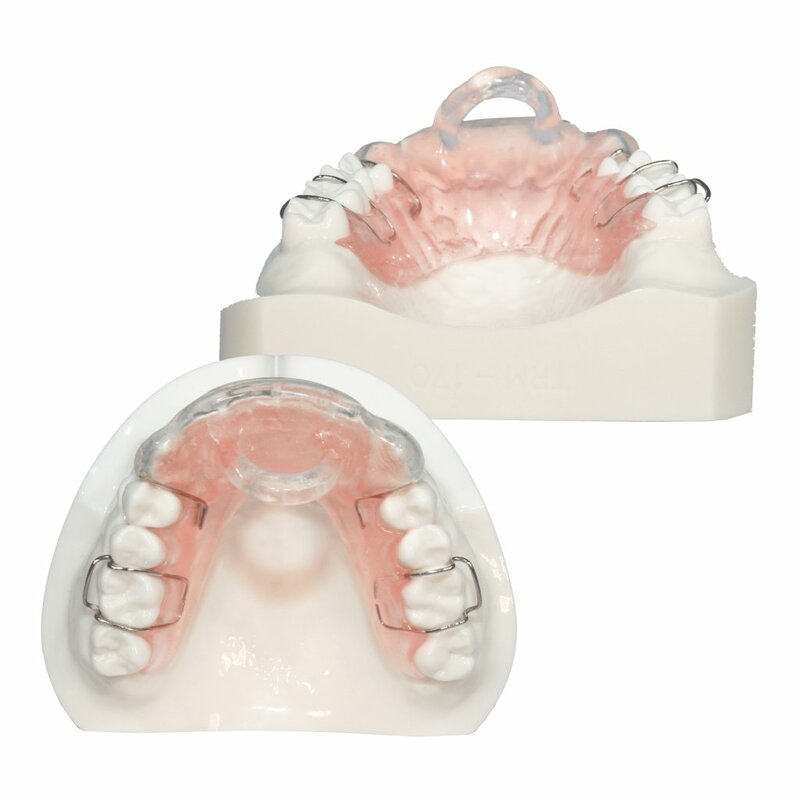 Acrylic contacts the opposing anterior and posterior teeth with cuspid guidance. The occlusal of the splint is lightly indexed.